Experienced Road Series contender steps up to front-running Race Series for 2019 season. 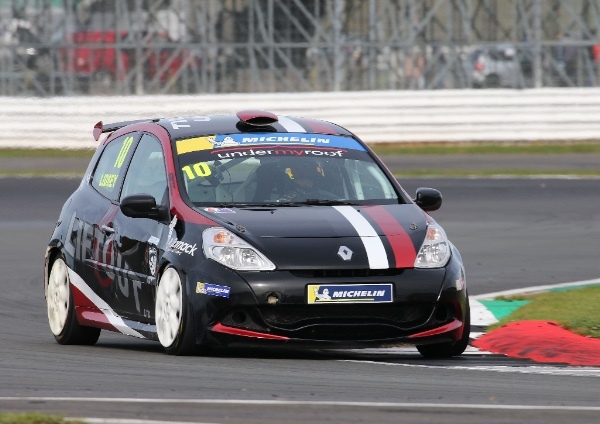 Joannou set to pilot an MRM-run 2.0-litre, third-generation Clio Cup machine on the UK’s most renowned circuits and overseas trip to Zandvoort. James Joannou will graduate to the Michelin Clio Cup Series’ front-running Race Series for the new season after agreeing a return with MRM. The move into a 2.0-litre, third-generation Clio Cup machine follows a superb 2018 campaign in the Road Series for the Trinity Brokers Ltd-backed racer, with a remarkable 13 podiums from 15 starts en route to the Vice-Champion honours. Having started his club racing career in the category, Joannou’s switch into Tyler Lidsey’s former front-running car demonstrates the championship’s ability to develop racers on a cost-effective, race-proven and instructive platform. His first outing in his new berth will be at Silverstone International over the last weekend of March as the new season gets underway [30th-31st]. “After two fantastic seasons in the Road Series, the time came for a fresh challenge and I’m delighted to be stepping up to the Race Series with MRM,” commented Joannou. “The car has a proven history at the front of the field and, whilst initially the aim is to get up to speed, I’m confident we can keep progressing forward as we did in the Road Series and work towards some strong results at the back end of the season. “Equally the team are proven front-runners in the championship, so there’s no reason why we can’t give those with experience in these cars already a run for their money.